This includes both reading and writing development. Children are immersed in an environment filled with text. 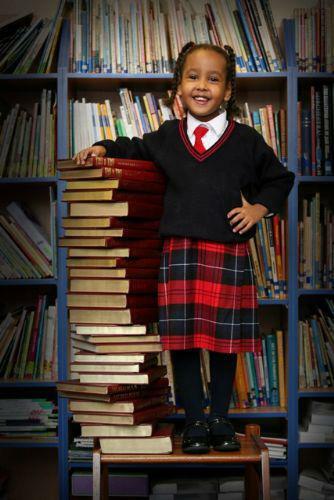 Children are encouraged to develop a love of books, showing respect and becoming familiar with the appearance of text. In nursery the children are introduced to the 25 letters and the letter sounds through the Ruth Miskin Literacy programme Read, Write, Inc. In reception the children build upon this through daily phonics sessions where they learn to recognise all 44 sounds (phonemes) and the corresponding letters/letter groups (graphemes) using simple picture prompts. From this children are taught to blend and hear sounds in words and apply this to begin reading and writing. This is split into two areas: Number and Shape, Space and Measures. Children are taught to recognise numbers as labels, accurately count and also to read and write numerals to 20. They are taught to identify and make patterns, recognise 2D shapes and solve real life maths problems. In reception the children also begin to learn how to complete simple calculations through practical activities. This area covers technology, people and communities and the world. Children are given opportunities to learn about the world around them through exploration. They use technology such as computers, cameras, voice recorders and programmable toys to support their learning in areas and develop their ICT skills. In the foundation stage there is a large emphasis on creativity through art, drama, construction and music. The children are encouraged to use and explore different materials and equipment to create pictures and models. The nursery and reception have role play areas both inside and out where children can act out stories or use their imagination to take part in real life situations in addition to having a weekly drama session with a specialist drama teacher. The children sing songs, listen to music and experiment with using different instruments to make sounds.